Team Tizzel: This is Reggae! 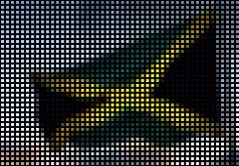 We love Jamaica! It's a beautiful country with great beaches, delicious food, friendly people, and excellent music. Jamaican music is played alot around our house and we thought we'd share a few videos from some current artists. A good place to explore more is http://www.jamaicansmusic.com/. Before moving on we’d like to tell the world that Jimmy Cliff is not dead. A few years ago Dave noticed that a Jamaican hotel book (one where they highlight excursions, restaurants, and shopping) stated Jimmy Cliff was dead. James Patterson also mentioned in an Alex Cross book that Alex was listening to: “the late, great Jimmy Cliff”. Dave wrote both parties correcting them, and only the hotel book publisher wrote back. For more reggae check out jamaicansmusic.com. itunes, bigupradio.com, or cocoradio.com.